Firefly Eats is home to a huge variety of food vendors serving up festival favorites, and unexpected culinary delights. Complete with vegetarian, vegan, and gluten free dining options, Firefly Eats has numerous options to tantalize your taste buds and keep you fueled up. 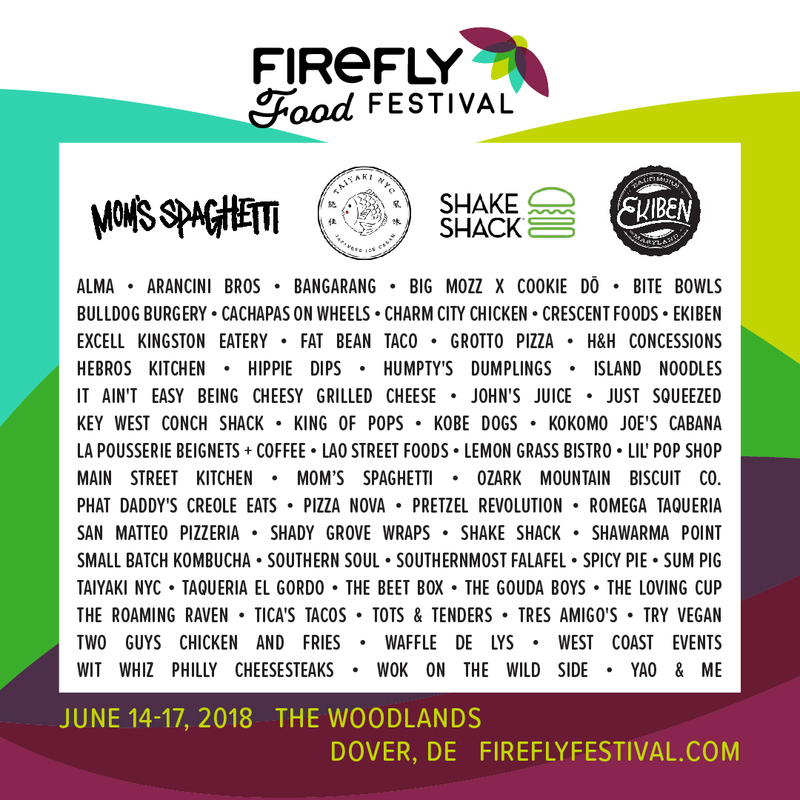 Details on Firefly Eats 2019 are coming soon!